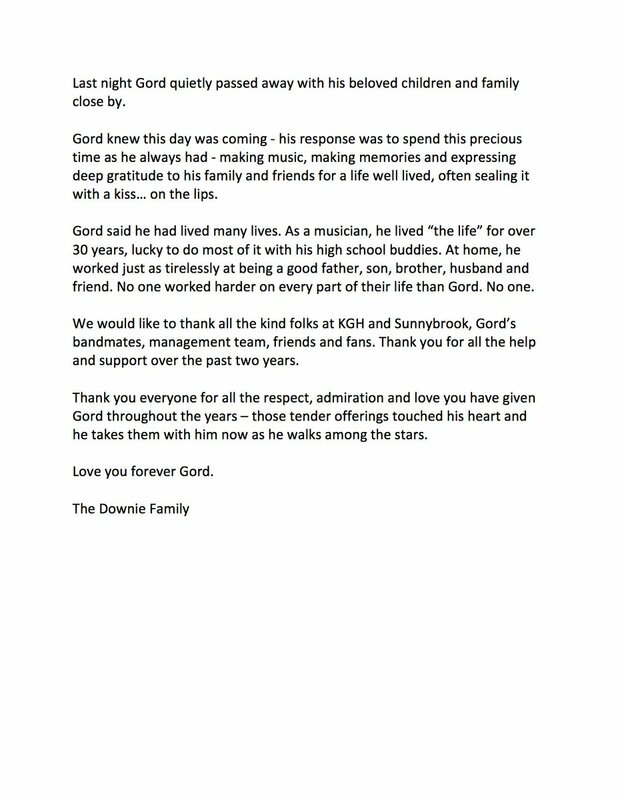 You have touched so many of our hearts, Gord. Rest well. We love you.